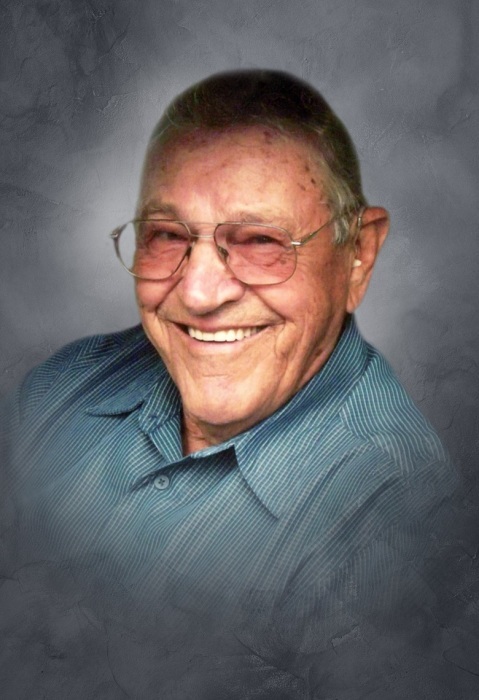 Gene H. Burton, 91, of Browning, passed away at 5:03 PM, Monday, April 8, 2019, at the Rushville Nursing and Rehabilitation Center in Rushville. He was born on October 11, 1927, at the family home in Browning, the son of Arlie H. and Mabel E. (Hoyt) Burton. He married Barbara J. Galloway on February 15, 1948, in Mt. Sterling. She preceded him in death on January 2, 1996. Surviving are three sons Charles Burton and wife Sheila and Paul Burton and wife Kathy all of Rushville, and Jeff Burton and wife Zoie of Hannibal, Missouri, seven grandchildren Keli Mayhew and husband Ryan, Paula Burton, Blake Burton, Brett Burton and wife Sarah, Ryne Burton, Scarlett Burton, and Melissa Heil and husband John, nine great grandchildren Chase Mummert, Noah Mayhew-Mummert, Xavier Mayhew, Kelsi Burton, Elisabeth Burton, Miles Gene Burton, Audrey Heil, Trevor Heil, and Thomas Heil, one brother Richard Burton and wife Nadine of Cary, North Carolina, close friend Lois Henninger of Rushville and several nieces and nephews. He was preceded in death by his parents, wife, one infant daughter, one grandson Samuel Taylor and one sister Virginia Combs. He was 1945 graduate of Rushville High School and attended Western Illinois Teachers College. For one year he taught at the Hawkeye School in Browning Township, Schuyler County, Illinois. He was a lifelong livestock and grain farmer in the Browning area. He was also a rural mail carrier in Browning. Gene was a member of the Central Christian Church in Browning, where he served as elder and deacon. He was a 70 year member of the Odd Fellows. He also served on the board of the Schuyler School District, Schuyler-Brown Farmer’s Service, Spoon River Electric Co-Operative, Western Illinois Power Co-Operative, Culbertson Memorial Hospital Board, Schuyler County Farm Bureau, Browning Fire Protection District and the Browning Senior Citizens Center. He was a 4-H leader for the Mud Valley Luckies and a longtime coach of the Browning 3rd and 4th Grade basketball team. He earned 3rd place in the State of Illinois Outstanding Young Farmer in 1957 and was awarded the Patron of Agriculture Award by the Schuyler Ag Day Committee. He enjoyed horses and horse racing. He read every book written by Louis L’Amour and enjoyed watching Western television shows. He adored his grandchildren. Services will be at 2:00 PM, Saturday, April 13, 2019, at the Central Christian Church in Browning, with Pastors Isaac Bell and Greg Parker officiating. Interment will follow in the Browning Cemetery. Visitation will be from 4:00 PM to 7:00 PM, Friday, April 12, 2019, at the Wood Funeral Home in Rushville. An Odd Fellows Service will follow the visitation. Memorials are suggested to the Central Christian Church in Browning.